Duke City Roller Derby Home Teams Return! It was a triumphant return for the Duke City Roller Derby home teams this past Saturday. The Juggernaughties beat the Madame Bombs and the Disco Brawlers beat the Dooms Dames. It was a great time! Thanks to everyone who bought artwork at the event. Mark your calendars for September 12th for the next DCRD event. 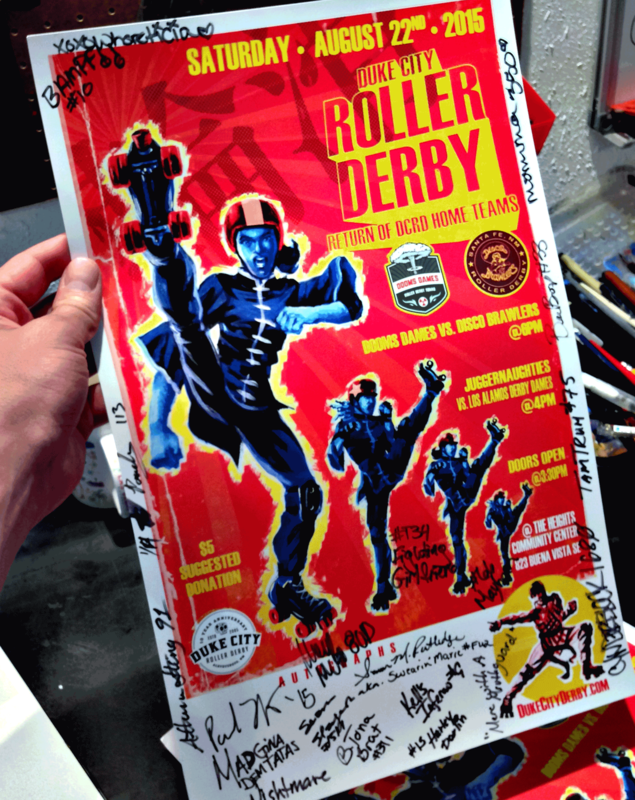 Check out my poster signed by several of the Derby Girls!